Regina King won her first Golden Globe Award for her role in "If Beale Street Could Talk." Last night, Regina King took home her first Golden Globe Award for Best Supporting Actress in a Motion Picture for her role in Barry Jenkins’ If Beale Street Could Talk. King has been previously nominated for a Golden Globe based on her role in Netflix’s Seven Seconds and the drama series American Crime. During a night plagued with disappointments due to the lack of black talent honored, King’s well-deserved win and acceptance speech became a highlight of the 76th Golden Globes. In the speech, she thanked Barry Jenkins and the cast of Beale Street, along with her son–who referred to King as a “super mom” earlier in the evening. Most notably, the actress pledged to bridge Hollywood’s gender gap by ensuring that women will make up half of all projects that she produces. “I’m going to use my platform right now to say, in the next two years, everything that I produce I am making a vow — and it’s going to be tough — to make sure that everything that I produce…is 50 percent women,” said King, followed by applause. 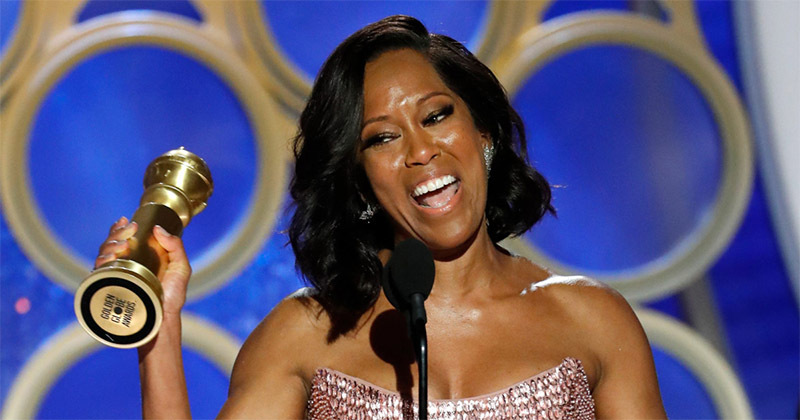 Watch Regina King’s full acceptance speech below. If Beale Street Could Talk is now playing in theaters across the country.